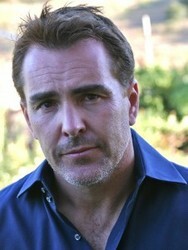 Nolan North is an American actor and voice actor born in New Haven, Connecticut. He has been described as "the nearest thing the games industry has to a bona fide leading man." He is most well known for his voice work as Desmond Miles from the Assassin's Creed video game series, and Nathan Drake from the Uncharted series. North majored in journalism at the University of North Carolina with a baseball scholarship. He worked as a reporter for almost a year in New Jersey before moving to New York City to pursue stand-up comedy and acting. North eventually relocated to Hollywood and was cast in the General Hospital spin-off series, Port Charles, playing Dr. Chris Ramsey during the show's run from 1997 to 2003. He married fellow Port Charles actress Jill Murray in 1999 and has two children. During Port Charles' run, he worked on a few video games as a voice actor and began to focus on voice acting following Port Charles' cancelation. In May 2012 it was revealed that North would have a limited role in Star Trek into Darkness, sequel to 2009's acclaimed live-action movie Star Trek. Director J.J. Abrams cited North's performance as Drake for the casting, he and his son being fans of the Uncharted series. Other notable video game voice work includes roles as the Prince in Prince of Persia, The Penguin in Batman: Arkham City, Shun in Ar tonelico II: Melody of Metafalica, Vossler in Final Fantasy XII, Desmond Miles in the Assassin's Creed series, Eradan in Lord of the Rings: War in the North, Doctor Edward Richtofen in Call of Duty: World at War and Call of Duty: Black Ops, Brawl in Transformers: War for Cybertron, Ghost Rider in Marvel:Ultimate Alliance, Shadow Demon, Lycanthrope, Lone Druid, Brewmaster, Gyrocopter, Ogre Magi , Meepo and the Keeper of the Light in Dota 2, and Deadpool in Hulk Vs. and Marvel vs Capcom 3 and recently as Captain Martin Walker in Spec Ops: The Line. He also voiced the personality spheres and defective turrets in Portal 2 and voiced Merasmus and the Bombinomicon in Team Fortress 2. North is well known in his animation roles such as Cyclops in Wolverine and the X-Men, Snow Job in G.I. Joe: Renegades, Raphael in Teenage Mutant Ninja Turtles, and both Superman and Superboy in Young Justice.